Sporty performance and the good looks to match. 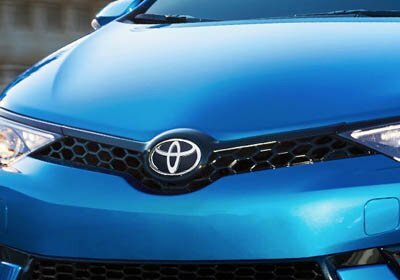 Corolla iM comes standard with an aggressive aero kit, bringing extra attitude to the front fascia, side skirts, and rear bumper. A black honeycomb grille shows off this hatchback's performance pedigree, while the spoiler and chrome-tipped exhaust add the perfect finishing touches. Standard 17-in. alloy wheels show off the wilder side of Corolla iM. With their vortex-inspired design, gross-black accents and machined face, these wheels can't be ignored. 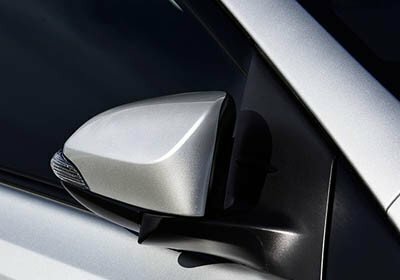 Corolla iM's outside mirrors include a power folding feature, shrinking Corolla iM's overall width to help you squeeze into those tighter parking spots. These mirrors are heated, too, helping to remove condensation on those chilly nights. Corolla elevates your style with its eye-catching design, premium interior with the features you want, and enough technology to help you stay connected. It takes the best of everything you love about driving and perfects it. No matter where your journeys may take you, Corolla is ready. The rear hatch of Corolla iM opens up to reveal a large cargo space, ready to help you carry all your favorite stuff. And with the standard 60/40 split rear seats, you can carry friends, larger cargo items, or both. The available Sport Mode button unleashed Corolla iM's athletic side. It's smart tech that adjusts the throttle, helping Corolla iM feel lively off the line, and giving you the power you need to take on those corners. Just push the button, give it a little gas, and get ready for some thrills. You'll know you've arrived the second you get inside Corolla iM. The upscale dashboard features flowing lines, premium materials, and attractive accent stitching. Piano-Black accents surround the 7-in. Touch-Screen, bringing the right amount of tech and beauty to this stylish space. You like it cool. Your passengers like it warm. And with Corolla iM's standard dual-zone climate control system, you can both ride in total comfort. Corolla iM is equipped with sport front bucket seats for the driver and front passenger. Easily adjustable and supremely comfy, these deep-bolstered seats help keep you feeling secure when the roads get twisty. Corolla iM comes standard with a sport gauge cluster, offering a performance-inspired speedometer and tachometer to help amplify your drive. Nestled between the gauges is a 4.2-in. color Multi-Information Display designed to give you the data you crave. See your average mpg, current song selection, and more - all at a glance. 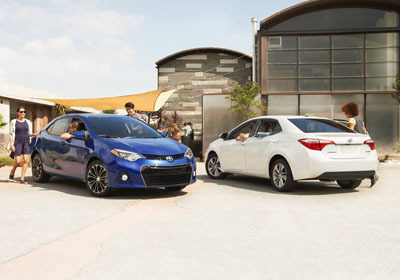 With Corolla iM's standard backup camera, you can backup with confidence and more easily get into that parking spot. If an inadvertent lane departure is detected and there are visible lane markings, the Lane Departure Alert (LDA) system will issue both an audible alert and visual warning on the MID screen. If the system determines that the driver is not taking corrective steering action, the Steering Assist (SA) function will initiate and provide gentle corrective steering when necessary to help keep the vehicle in the lane. Corolla iM's steering wheel controls put your music and more right at your fingertips. With it's advanced voice recognition technology, you can access the info you need just by talking. It's easy to use: Just press the button on the steering wheel, speak one of the supported commands,and you're done.